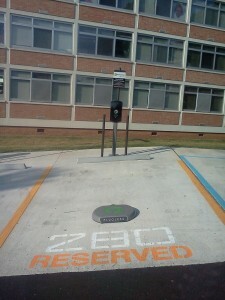 Novatek Electric is Certified for the installation of car charging stations from Tesla Motors, Chevy, Cadillac, and BMW. With a growing demand from customers and employees alike, many of our clients are searching for Electric Vehicle (EV) charging solutions. Our experienced experts and technicians are ready to assess your EV Charging Station needs today and provide you with a turnkey solution that is simple yet comprehensive. We sell, install, service and maintain charging stations at residential, commercial and industrial facilities as well as multi-family residential complexes. 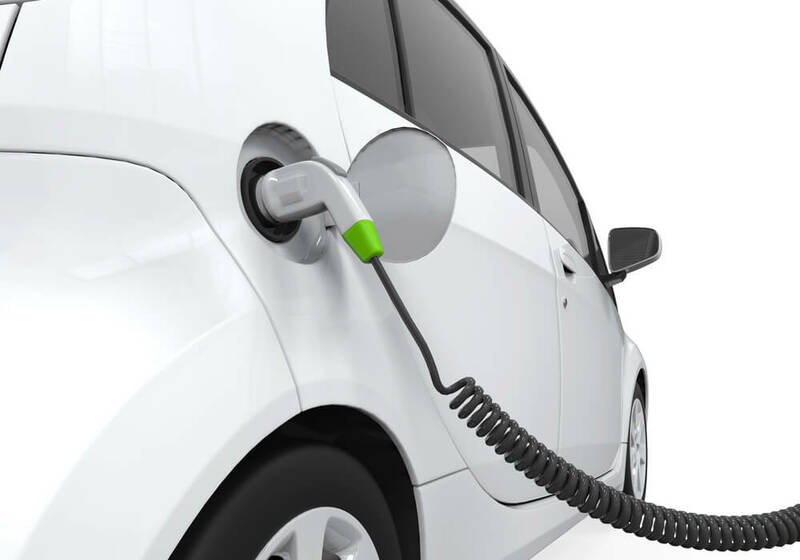 Novatek Electric has relationships with leading EV Charging Station manufacturers to provide you with the best solution. During the installation process our technicians can help design the project, calculate ROI for commercial installations, and actively manage the project. You can configure your car with a single charger or double chargers. Understand that the charger is not the thing you plug into the wall. That’s called a connector. The charger is on board the car. The connector sends alternating current (AC) into the charger. The charger then converts the power to Direct Current (DC) and sends it to the battery. Think of a charger like a faucet. When you are filling a bucket, you can only fill it as fast as the water can flow through the faucet. To fill the bucket faster, you need a bigger faucet. The charge-at-home process will give you a 93-kilometres range per each hour of charge. At maximum amperage, the 240-watt circuit supplies more power than a Single Charger can process. 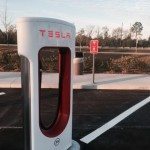 (The Wall Connector works with any Model S Tesla, but only those with Dual Chargers will be able to achieve the 93 kilometres of range per hour of charge.) Dual Chargers double the charging capacity to 20 kW to match the output of the Wall Connector. The Dual Charger then converts the power to Direct Current (DC) and sends it to the battery. The outlet, in your garage for example, should be installed within 15 feet of the driver’s side tail light and a minimum of 18 inches above the ground. The connector is 25 feet long and should be installed at less than 22 feet from the driver’s side tail light. For cars configured with on board Dual Chargers, use an 80-amp or 100-amp circuit breaker for fastest charging. For cars configured with an on board Single Charger, use a 50-amp circuit breaker. 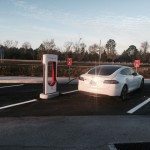 The Tesla Supercharger, available for purchase from the manufacturer, can replenish your battery in at little as 20 minutes. All Model S vehicles with the 85kWh battery can use Super Chargers, as can properly equipped 60 kWh battery vehicles. These chargers are for quick recharging while on road trips. 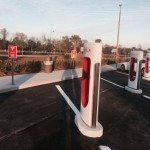 Superchargers will be positioned at convenient locations along major interstate highways throughout Canada and the U.S If you choose to use a public charging station while traveling, use the J1772 adapter that comes with your Model S. Many of the public stations now being installed can be used at full power with just the Single Charger. However, if you plan to take frequent road trips, the manufacturer recommends that you outfit your Model S with Dual Chargers. If you want to check the Tesla’s charging status remotely, use the Tesla App. For example, if you’re eating lunch while waiting for your car to charge, pull up the app to see if you have recovered the range needed to get to your next destination. A few minutes before you’re ready to start driving again, use the app to heat or cool the car to your preferred temperature. The Tesla Mobile app is available at the Apple App Store and the Android App Store.